Maude Lou Mildred Marie Felton Greenwell (a.k.a. Auvie, Maude Lou, Lou) having been given the gift of life on February 13th 1929, gave it back surrounded by loved ones Saturday, February 2nd 2019, aged to 89 years of perfection. Although incredibly painful for those of us that she left behind, it was an amazing gift to for her to have been received back into the light of her faithful husband and vibrant daughter. Maude Lou was born to Thomas Allen Felton and Marguerite Ann Chartraw Felton in Gresham, Oregon. Saying her family was large would be an understatement – by the time she was greeted by her parents she already had three brothers and five sisters, with three more girls to follow. When she was still a child her family made several moves from Oregon to Idaho, eventually settling in the city of Paul, where her father became mayor. This was likely the inspiration for her to later become a city council member in Paul. Early on, she expressed a great love for both song and dance, and also dabbled in both cheer and fencing. Throughout her life one could often hear her say that “a healthy body keeps a healthy mind.” After graduating from Paul High School in 1947, she soon met the one and only love of her life, Don A. Greenwell – a fiery redhead on a little horse. Don quickly realized that this beauty was truly a one of a kind, he swept her off her feet and “put a ring on it” on April 7th 1948. They recently celebrated their union of 70 years with their family cheering them on; they were a true example of loyalty and love. She had a strong mind for business but an even stronger love for family. Wanting to keep her tribe small she and Don had just three children: Gary, Patrice and Greg. Little did she know, destiny had other plans. Through their love, Pampa and Auvie (as they were affectionately referred to by their loved ones), were blessed with not only the three “manageable” direct descendants but also thirteen grandchildren, twenty seven great grandchildren, and one pending little peanut. Maude Lou’s accomplishments in life are as many as they are amazing – too many to write down. She lived in multiple states, traveled this earth on numerous adventures, and did many great deeds, however, her real legacy will be left in the inspiration that she gave to anyone that was privileged enough to be graced by her presence; to have known her kindness, her strength, and her elegance. She is survived by her sons Gary (Nancy) Greenwell and Greg (April) Greenwell, and her sisters Barbara (Alan) Draper, and Beverly Morgan. However sad we may be without her presence here, she will now join those whom she had loved and lost: her beloved husband Don; her beautiful daughter Patrice Workman; her parents Tom and Marguerite; her brothers Kelly, Bill, and Doug; and her sisters Evelyn, Virginia, Helen, Margie, Pat, and Martina. 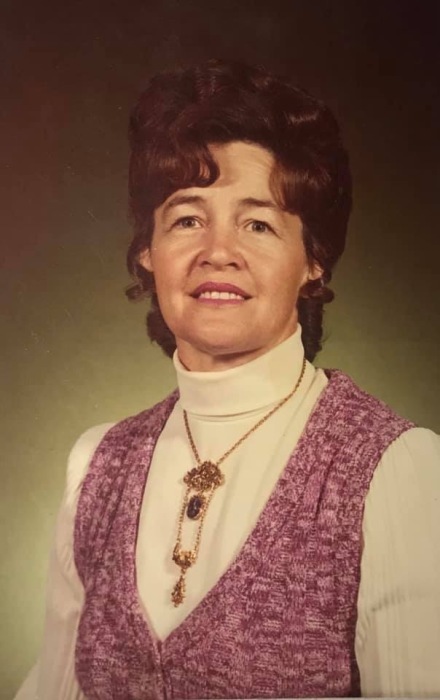 We welcome you to join us in remembering, reminiscing, and celebrating the amazing woman she was on Friday, February 8th 2019 at 2:00 PM at Hansen Mortuary, 710 6th Street in Rupert, Idaho, with a viewing from 6:00-8:00 PM on Thursday, February 7th, 2019 at the same location.